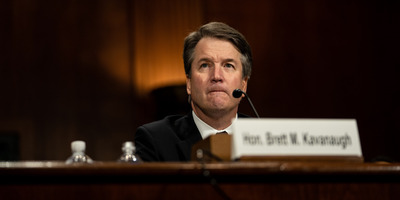 Erin Schaff-Pool/Getty ImagesSenators are due to vote Friday on whether to advance Brett Kavanaugh’s Supreme Court nomination. Kavanaugh testified last week on sexual-misconduct allegations made against him. Two key votes stand between Brett Kavanaugh and a lifetime appointment to the Supreme Court. The first vote is due Friday, and the final confirmation vote could take place Saturday. Friday’s vote will give insight as to where lawmakers stand, including key undecided senators who have expressed doubts over Kavanaugh since a series of sexual-misconduct allegations emerged against him. Among the undecided senators are three Republicans. The battle over Brett Kavanaugh’s Supreme Court confirmation is reaching its finale, with senators due to take a procedural vote on Friday. It will indicate how senators, including key undecided figures, stand on the nominee after a series of sexual-misconduct allegations were made against him. Senators are scheduled to vote at 10:30 a.m. ET on Friday on whether to create a time window to debate Kavanaugh’s nomination. Senators can debate for only 30 hours, meaning that if Friday’s vote passes, a final confirmation vote on Kavanaugh could take place Saturday afternoon. The outcome of Friday’s vote could offer a strong indication of whether Kavanaugh will be successfully confirmed, though it is also possible that some senators will vote to move forward with the debate but ultimately vote against his nomination. So even after Friday’s vote, speculation as to Kavanaugh’s fate on the court could continue. Tom Williams-Pool/Getty ImagesRepublican senators listening to Kavanaugh testify in front of the Senate Judiciary Committee. Republicans make up a majority of the Senate, with 51 votes. But the Republicans Jeff Flake, Lisa Murkowski, and Susan Collins and the Democrat Joe Manchin have not yet said how they will vote and have expressed doubts about Kavanaugh’s confirmation. How those four senators vote Friday could be key to Kavanaugh’s nomination. The FBI’s background report regarding sexual-misconduct allegations made against Kavanaugh by two women seemed to do little to clarify the stances of the undecided senators. 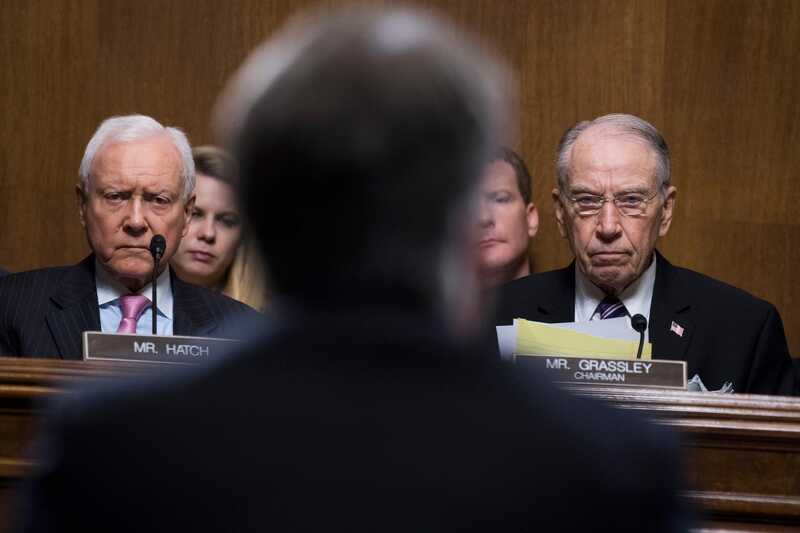 Republicans have said the report, whose contents are secret, does not offer any corroboration for the claims of Christine Blasey Ford, who says Kavanaugh sexaully assaulted her when they were in high school. Democrats slammed the report as “incomplete” and accused the White House of limiting the investigation. Both votes require just a simple majority, which is 51 votes, to pass. Vice President Mike Pence would cast any tiebreaker. One Republican senator, Steve Daines, is expected to miss Saturday’s confirmation vote, however, for his daughter’s wedding. That means Republicans could change the schedule of the vote if they believe the undecided senators seem likely to vote against Kavanaugh.